Drum rolls! Unfold the red carpet and walk to meet with your favorite stars. 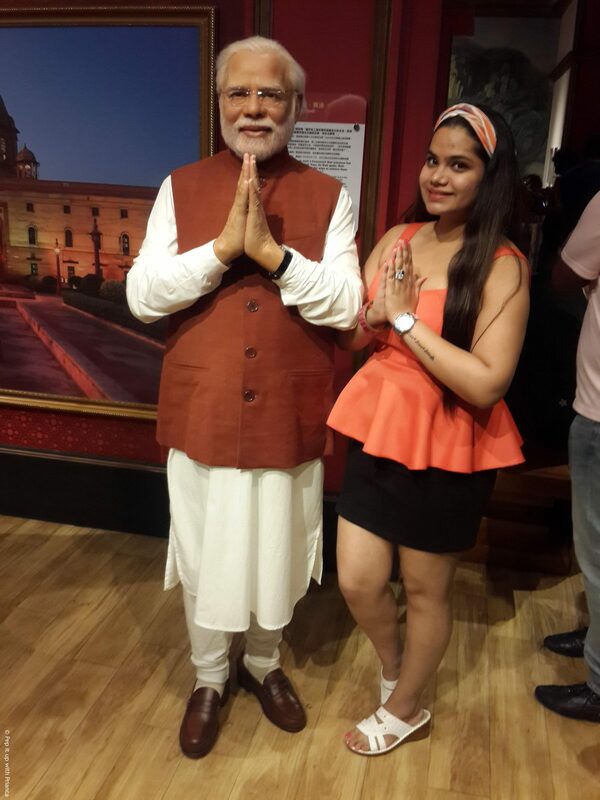 Welcome to Madame Tussauds. The chain of renowned wax museums founded by Marie Tussauds of France. 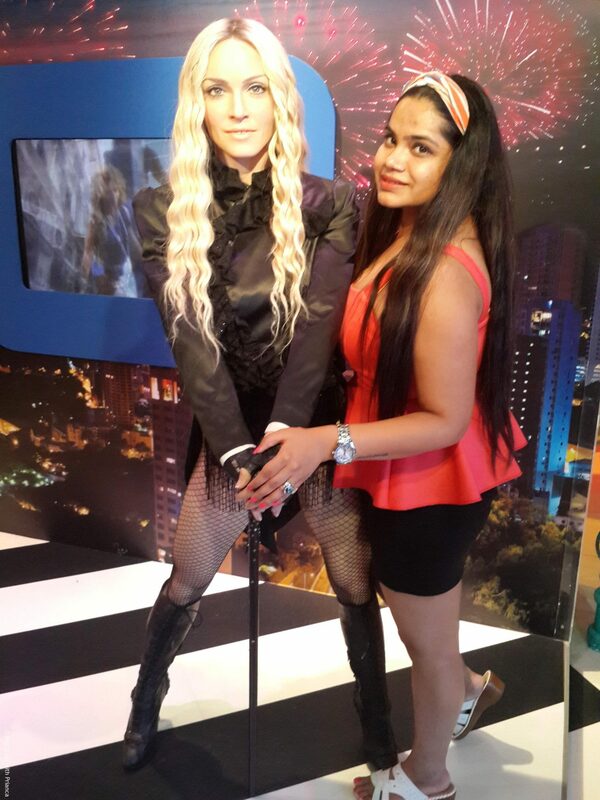 It is a museum chain known for it’s life-size replicas of celebrities and historic icons in themed galleries. 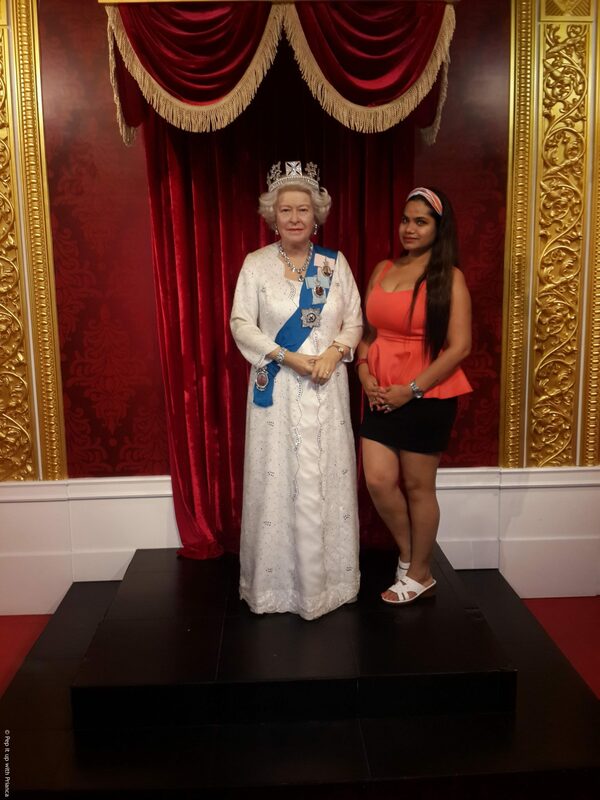 Here, I am sharing my experience at Madame Tussauds, Hong Kong which is located at the Peak Tower on Hong Kong Islands. This is the first museum in Asia, the other Madame Tussauds museums in Asia were later branched in Shanghai and Singapore. 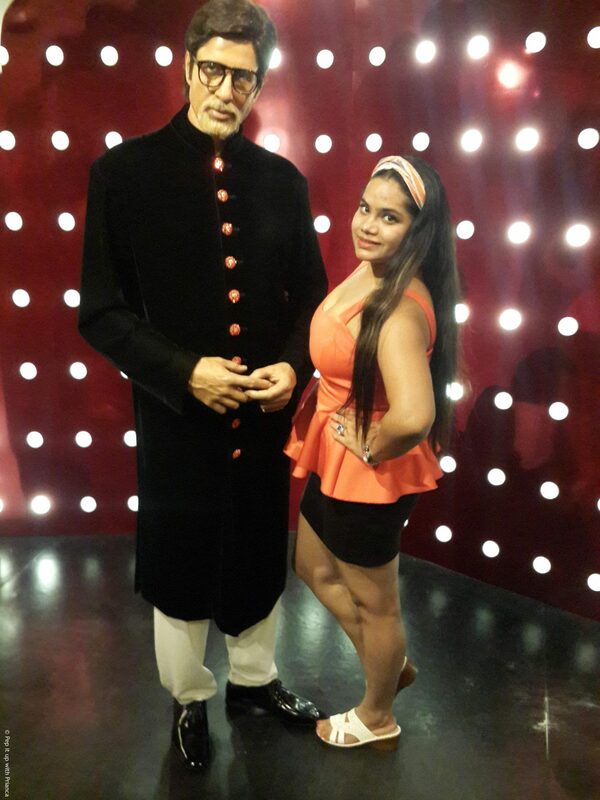 The wax figures at Hong Kong museum are featured in themes such a Music Icons, Hong Kong Glamour, Historical and National heroes, the world champions and popular Hollywood and Bollywood stars. The best way to reach the peak is via a tram ride. So, I bought a peak tram sky pass on special offer and got access to the Madame Tussauds entry, Sky Terrace 428 and return Peak Tram ticket. The ride to the Victoria peak was mesmerizing and quite serene. 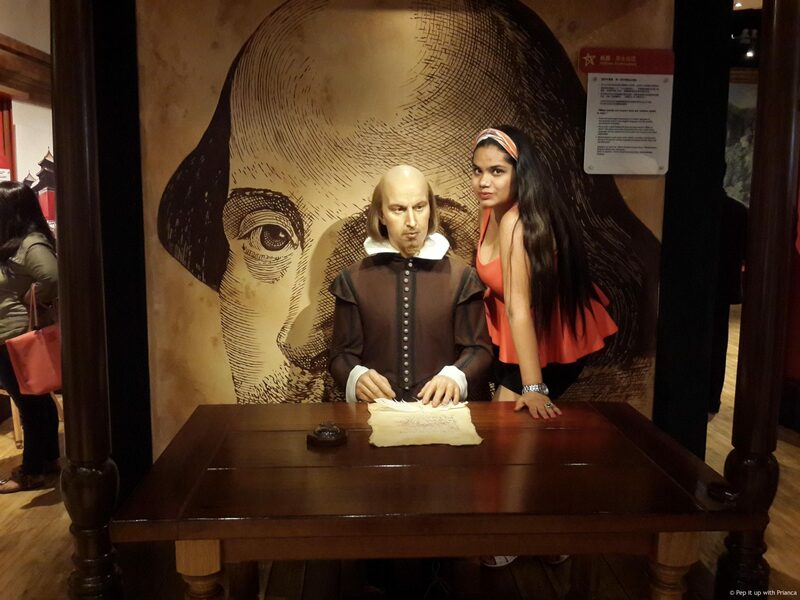 After reaching the Victoria peak, it was time to rub shoulders with my favorite stars and so I entered the museum. 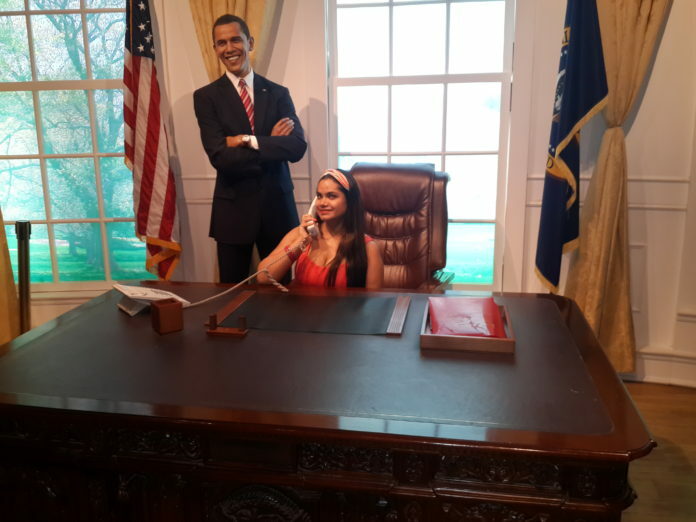 Below I am sharing my fun pictures from the wax museum.